On Thursday 28 June, the eyes of the sporting world briefly turned from Kaliningrad to Kew for the annual Forsters CRE cricket day. With temperatures just shy of 30C, we were joined by client teams from BA Pensions, Caisson, La Salle and the Crown Estate for what always proves to be one of the highlights of the firm’s BD calendar. The first match of the tournament – a quick fire 5-over, 6 aside version of the game – saw defending champions BA Pension get off to a flying start against the Crown Estate. Debutants La Salle followed that with a shock defeat to the hosts who are certainly not encouraged to be beating client teams on the day. Nevertheless, BA Pensions and La Salle would soon emerge as the two teams fighting it out for the no-expense-spared trophy. 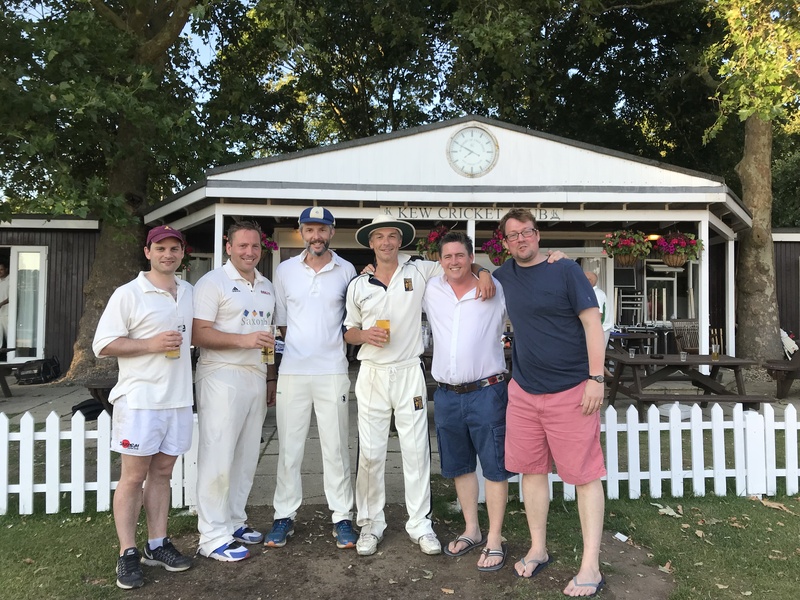 And despite La Salle taking the victory in their head-to-head, a flurry of wickets in the final match of the day saw BA Pensions pip La Salle to the post on points difference to claim a record fourth title at Kew Cricket Club. Thanks as always to Kew CC, all who helped organise and the many supporters who came along for the free lunch, tea, pizza and open bar. Anthony is an associate in our Commercial Real Estate team.